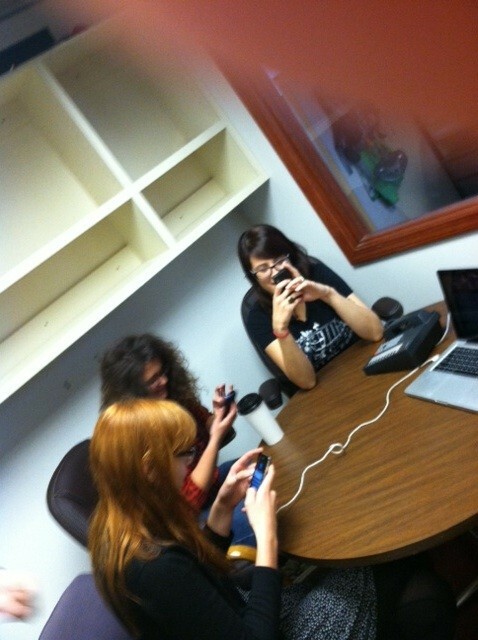 The Inlander's arts staff (Tiffany, Jordy, Leah and my thumb) fire up their smartphones for tonight's tweeting. Spokane's biannual Visual Arts Tour begins in just a few minutes. Ready, steady, go! Join The Inlander — on Twitter and in person — as we ramble through tonight's festivities. Follow along on Twitter using the #vat, #terrain and #spokane hashtags. The tour, made up of exhibitions across Spokane, runs tonight from 5 pm to 9 pm. Check the map below to see the stops on the tour. 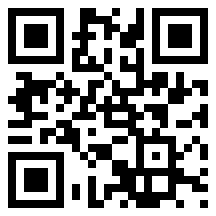 If you're reading this on an old-fangled desktop computer, you can capture this image with the barcode scanner on your smartphone and (at least if you're using a Droid or an iPhone) it should open our Visual Arts Tour map right in the phone's mapping application. Find tonight's most interesting art spots and navigate there using your current location. THIS WEEKEND IN MUSIC: Terrain! True FO! Old Metallica!